You are here: Home / Fun Outdoors / Travel / Around the UK / Woodhorn Colliery with Dinosaurs! We went mainly because the dinosaurs are there (only until 1st September 2014 – you’ll have to be quick!) and as it was a Bank Holiday we had some time off all together. The parking for the museum is set back behind the buildings, and costs £3.50 for all-day parking. We were guided into a space by a man in a fluorescent jacket, then we were set to explore! 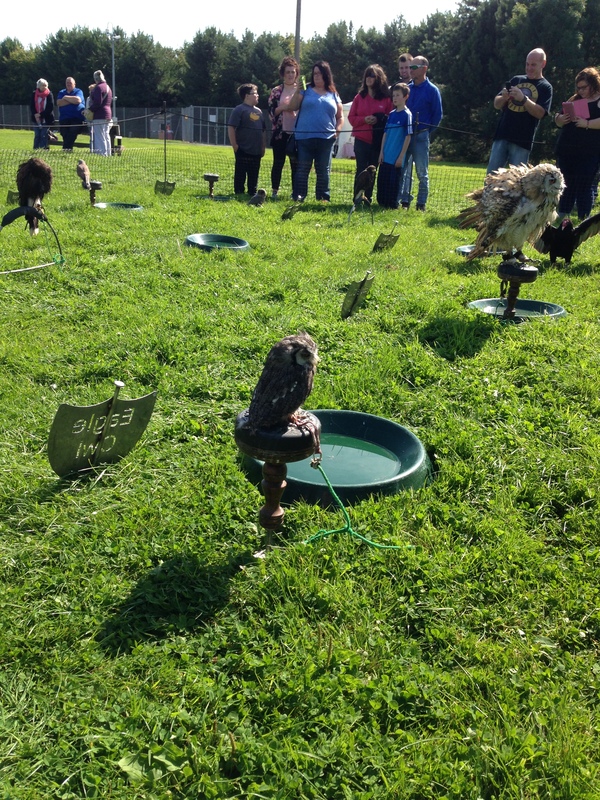 As it was a Bank Holiday there was a special exhibition of birds of prey, whereby talks and demonstrations were given while the birds showed off their stuff. Very interesting. The birds were all hanging out in a little penned off area so you could have a look at them while they weren’t flying about showing off. While the birds took a rest, we strolled over to the building the dinosaurs are in. The dinosaurs exhibition costs £4.50 per adult, with reduced rates for children and family tickets available. I guess they are paying for all the black paint that creates a really good background to see the dinosaurs in. 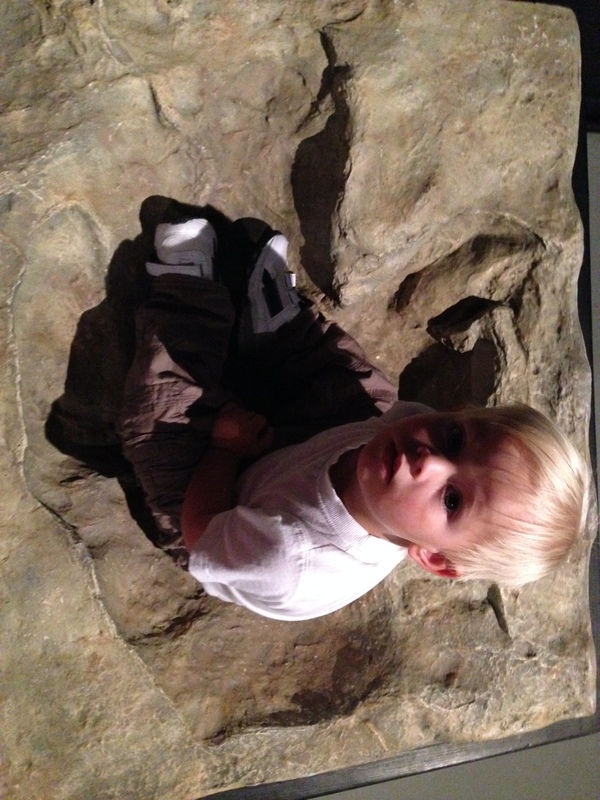 James loved to see the dinosaurs, and I really enjoyed talking to him about them. He said the triceratops was like a rhino because it had horns, and as the animatronics make dinosaur sounds, he told me they were, “very very noisy”. After the dinosaurs we went for a ride on the train. The train costs £2 per person and goes along a short track past some beautiful scenery to a little station. You can pay half price and get off at the station, but we chose to wait on the train while the engine ran back to the front and we travelled back with it. There is a pub next to the little station, so if you wanted to, you could get off there and have something to eat. We went for lunch in the cafe in the museum. Daddy Foote and Big Sister Foote had hot meals, while James and I had sandwiches. James had the kids lunch bag, where you can choose five items from a fairly decent list of things for just less than £4. After lunch we used the facilities. As James is mixing it up as to whether or not he wears nappies or pants, we had to ask for directions to the baby change area – it felt like it was miles away, tucked right behind the restaurant! There are actually lots of toilets dotted all around the museum – very good. The museum was next on our to-do list, and we wandered through a very interesting exhibit on life as a miner through the ages. There were lots of quotes from people who’d lived through the challenging times of the miners’ strike – very poignant. 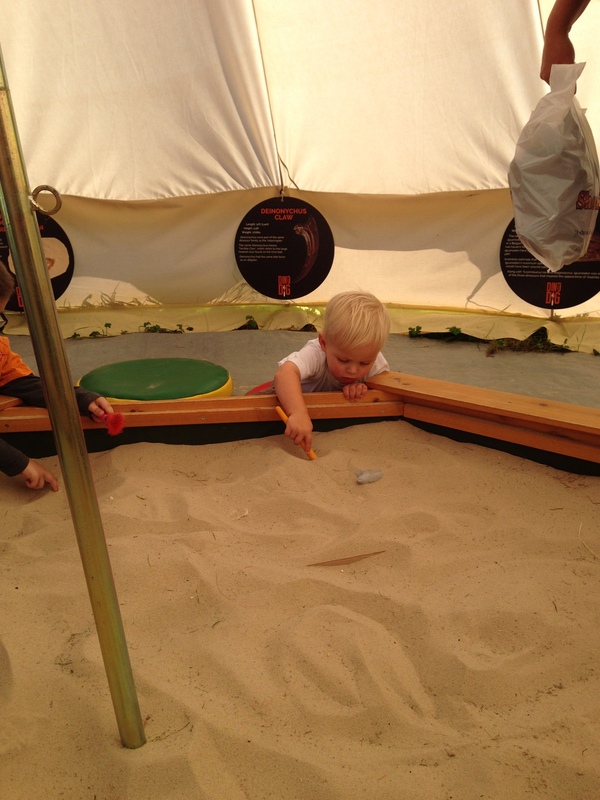 We had another look at the dinosaurs before leaving the museum, and James had a good old dig around in the sand pit for fossils. 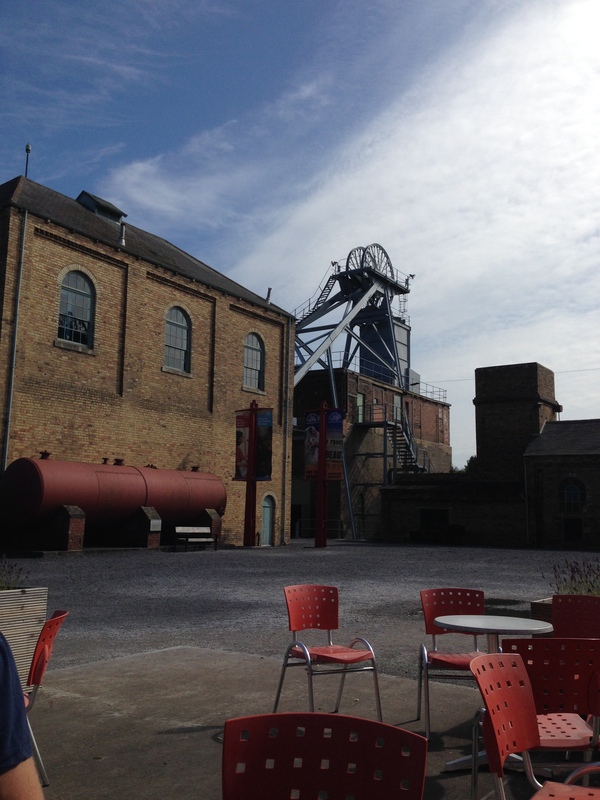 We spent around 4 hours at Woodhorn – it was a good way to spend a sunny day! I think we’ll be back; we need to keep an eye on the exhibitions to see if there will be anything else of interest. We only found out about the dinosaurs just before they will be going.